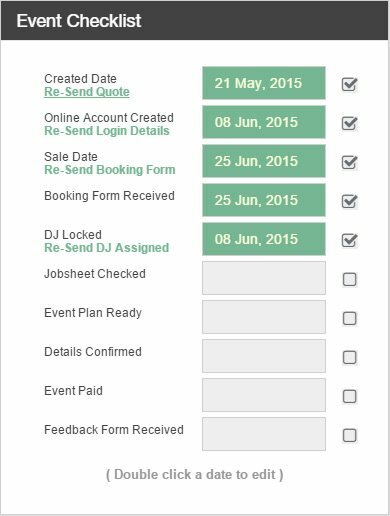 Event Master Pro has check list to assist the Event Manager of your business to get a snap shot of which stage the event is at. This checklist just ensures that everything is going to plan, and no steps are skipped or out of order. 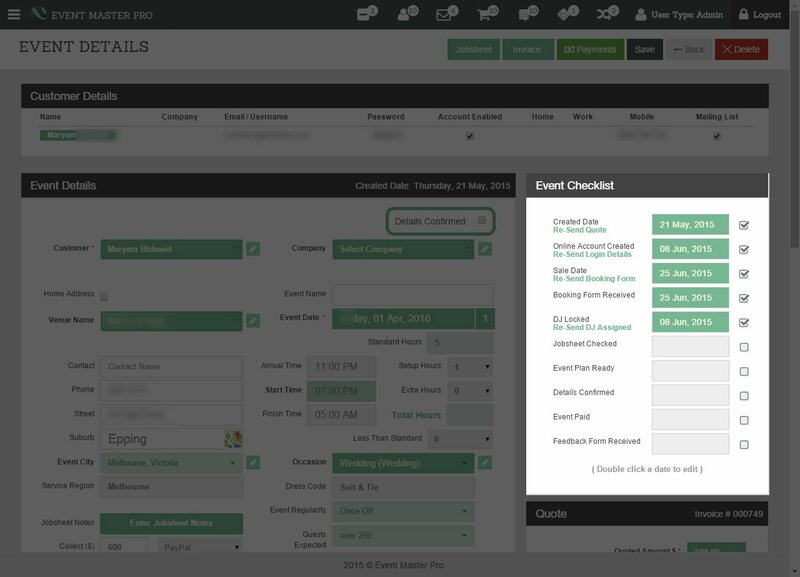 The Event Checklist is displayed on the Event Details screen and has a checklist of each of the key events leading up to an event. Starting from the date the event has been created through to checking the feedback form has been received. Any of the automated emails that are sent at each of the stages can be re-sent from here too, making it easy to manage and reducing email clutter from your inbox.